The Dunshaughlin Shting clinic will be held on the 28th, 29th and 30th of December in DCC. Gavin Garland is leading the Rockets Basketball Clinic. A former Irish International player Gavin was a National League coach with Queens Basketball in Belfast and currently is coaching the Juvenile section of the club. 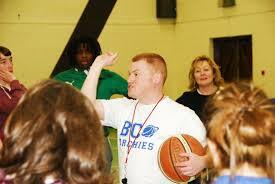 Gavin is a development officer for Basketball Northern Ireland and a basketball coaching Tutor for Basketball Ireland.